I've been a long-distance grandma from the get-go. 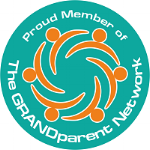 Since my first grandson's birth more than 10 years ago, I've done my best to be intentional in regularly connecting with the now three grandkiddos living 800+ away from me. I touch base in techy ways, visit when I can, send grandma packages now and then, and so forth. Yet there's always room for improvement, and grandma Terry Chamberlin has come up with a pretty sweet subscription service for serving up grandma-style food activities from faraway. When three of Terry's grandchildren moved away from her, she began sending them boxes of cookies and treats to go along with their Skype sessions. She soon realized other grandmas just may want to do the same, and the Gramma in a Box subscription service—tagline Gramma does all the work. You have all the fun!—was born. I had the privilege of being on the receiving end of the July Gramma in a Box free for review. My grandkiddos live far away—and local bonus grandson James is gluten-free thus unable to review this one with me—but my youngest daughter, Andrea, just so happened to be staying the weekend at my place for her birthday, and jumped at the chance to sample the box with me. Fun! 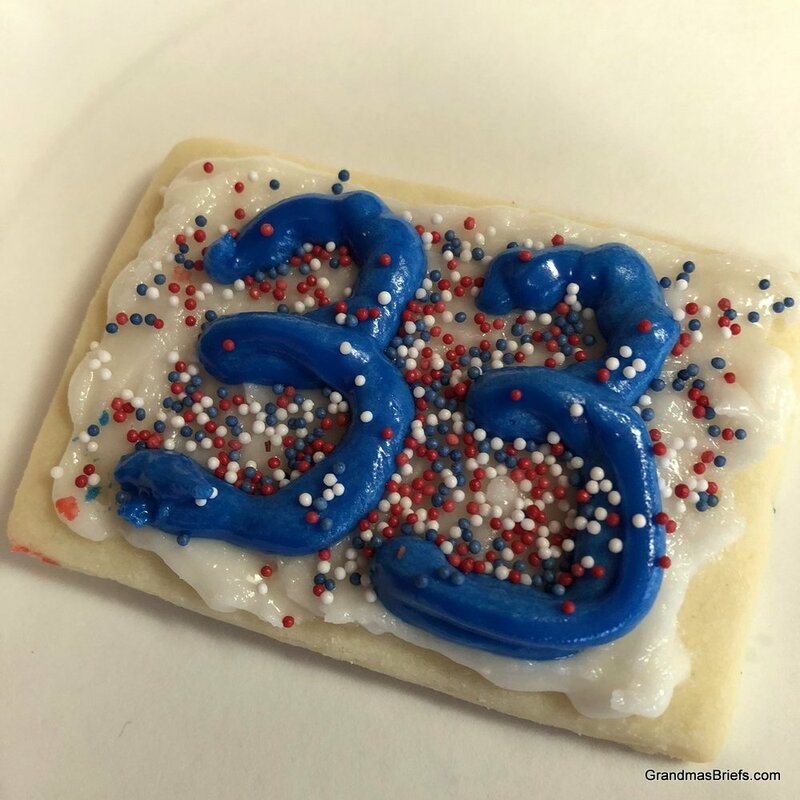 And fortunate for me in that a Gramma in a Box cookie (hastily decorated by me) was the only sweet Andrea requested for her birthday—no baking during the current heatwave. Woot! Gramma in a Box is a simple idea—boxed-up food activities shipped to favorite kiddos—that any grandma could do. Thing is, would any grandma actually get around to doing it? Not me... despite considering myself a pretty clever and crafty grandma. Which is why I predict future success for grandma Terry and her grand idea... and future Gramma in a Box orders from me. Find more about Gramma in a Box on Facebook https://www.facebook.com/grammatlcinabox/ and Instagram https://www.instagram.com/grammatlcinabox/.